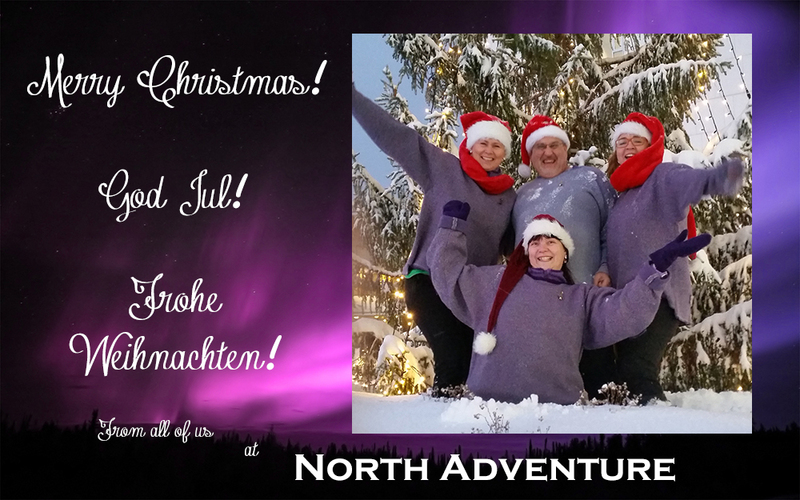 Merry Christmas from North Adventure! It’s time for our annual holiday picture and Christmas card! This year’s edition features Christmas hats for all, and Santa earrings for everyone but Jon (who didn’t have time to get his ears pierced before the picture). It briefly stopped snowing in the middle of a 3-day storm so we could get our picture taken, but Tanja didn’t want Jon to get confused by the nice weather so she pelted him with snow to keep him cool and ready to shovel again. It’s been a fun year with lots of completed projects, lots of new ideas begun, and much to look forward to in the coming year. We hope the year has been good for you, too, and we hope we get a chance to work with you in 2016. From all of us – Henriette, Tanja, Jon and Marianne – we wish you the best in this winter holiday season!